1972 AMC Javelin – New Masterpiece From The Ring Bros! Let’s be honest, the 1972 AMC Javelin is no muscle car fan’s favorite, but when the Ring Brothers do their magic every piece of old American sheet metal becomes a show stopper. Of course their latest project is no exception and received a lot of attention displayed in the Prestone booth at SEMA 2017. 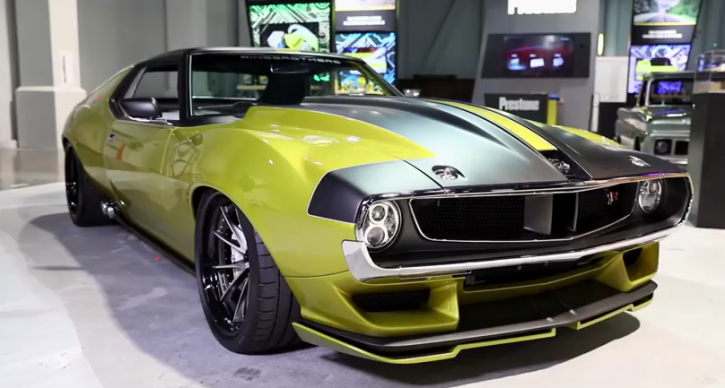 The body mods as usual are radical, but that’s what it takes to transform a 1972 AMC Javelin into a hot rod which makes jaws drop at major car shows. 2017 BMW M-power Yellow paint, 20-inch wheels from HRE and custom side exhaust are the first few things you’ll notice. The Ring Brothers custom built AMC Javelin rides on Detroit Speed suspension with RideTech shocks. The most interesting features on the inside are the seats and retro style gauges and under the hood sits a real beast. 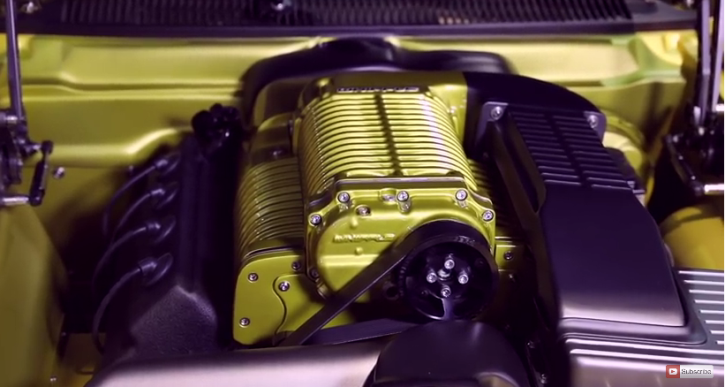 The 4.5 Liter Whipple Supercharged Hellcat V8 motor is capable of way over 1000hp sent through Bowler auto gearbox. Watch the SEMA Show video and see what inspired the Ring Brothers to do this build.